Jose Rizal Park, which is popularly known as Luneta, is located at the heart of the city of Manila at the northern part of Roxas Boulevard. Rizal Park, which is popularly known as Luneta, is located at the heart of the city of Manila in the northern part of Roxas Boulevard. 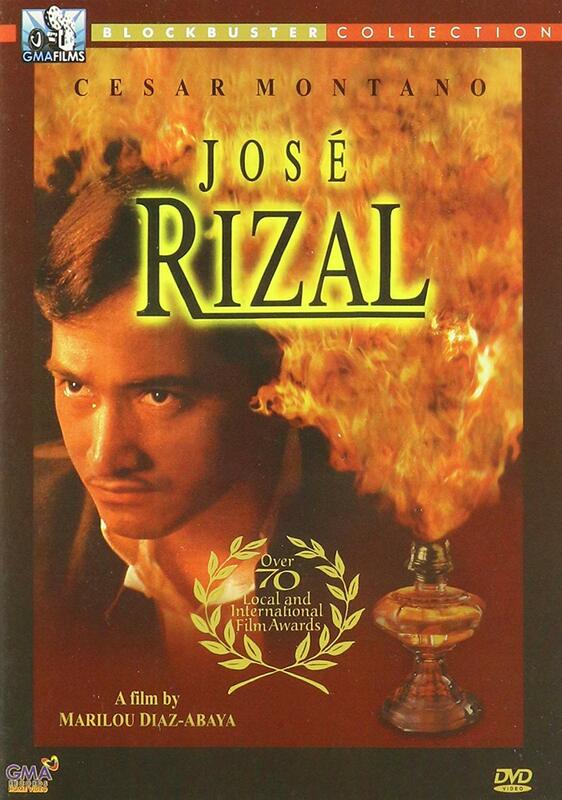 Jose Rizal Park is bounded by Taft Avenue, Padre Burgos drive, Manila Bay shore and T.M. Kalaw Avenue. Luneta is a historical urban park adjacent to the walled city of Manila or Intramuros. Luneta park is a favorite place for unwinding and for family picnics particularly during Sundays and the holidays. It is also one of the most famous tourist attraction not only of Manila but also of our country. Luneta park includes the 351 feet tall Independence flagpole which is the highest flagpole in the Philippines. A grand Independence grandstand designed by architect Juan M. Arellano exists next to the flagpole and was built for the proclamation of the full independence of the Philippines. The grandstand was named Quirino grandstand since it was here the President Elpidio Quirino was sworn in. The history of Rizal Park began in 1820 after the Paseo de Luneta was built in watery patch of land south of the walls of Manila near the beach during the Spanish era. The park was previously known as Nuevo Barrio or Bagumbayan which existed since 1601. This area was later known as Bagumbayan Field where a moat surrounded outwork called Luneta is located. Paseo de Luneta is located west of Bagumbayan field and was also named Paseo de Alfonso XII after the King of Spain of the same name who reigned from 1874 to 1885. 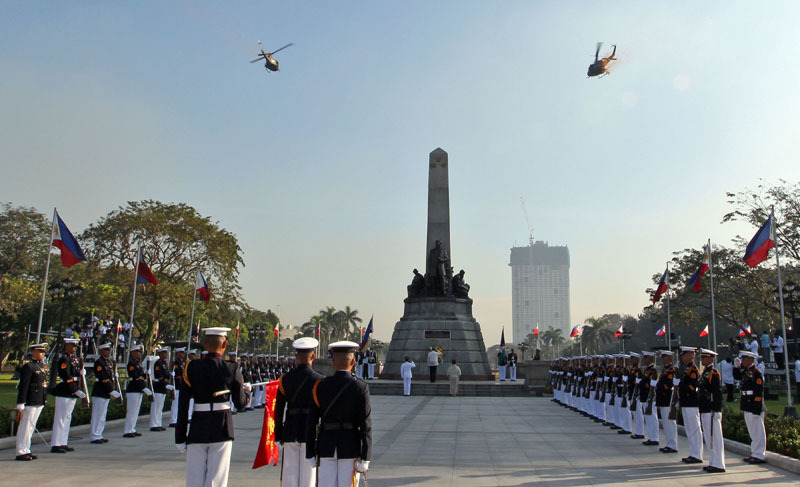 Rizal Park has been the venue for many significant events and moments in Philippine history. One of the first memorable event that took place in Luneta is the execution of our national hero, Dr. Jose Rizal on December 30, 1896 which encouraged Filipinos to start a revolution against the colonizing Spanish regime. Luneta Park was subsequently named Rizal park in the honor of Jose Rizal. 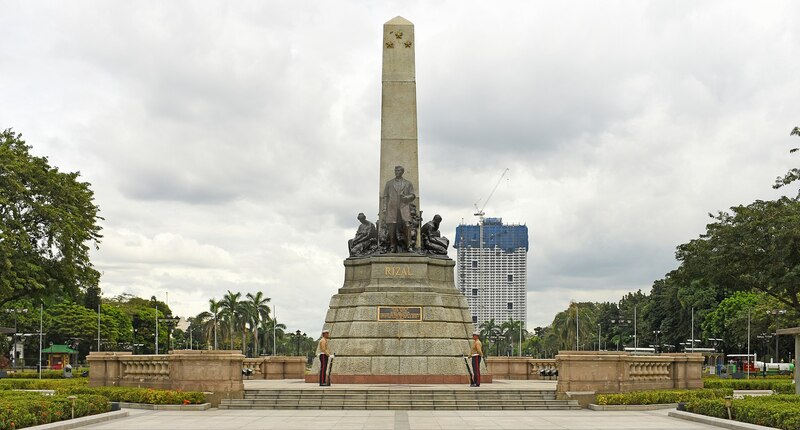 A bronze granite monument in honor of Jose Rizal was also built in Luneta to serve as a symbolic area of the park. The Declaration of the Philippine Independence from American rule was also held at Rizal Park on July 4, 1946. Political rallies of Ferdinand Marcos as well as those of Corazon Aquino were also held in Luneta prior to the EDSA Revolution which ended the long reign of the dictator. Events capping the Philippine Independence Centennial were hosted by the park. The World Youth Day of 1995 and the opening and closing ceremonies of the 2005 Southeast Asian games were also held in Rizal or Luneta Park. A Dr. Jose Rizal Park can be found in the west side of Beacon Hill in Boston, USA. The park has a spectacular view of south Downtown and Elliot Bay. The park is a favorite gathering site and picnic area for the Filipinos in this community. The park was named after Dr. Jose Rizal in 1974 but was formally dedicated in 1979.